“Greece isn’t all golden beaches and cat-filled tavernas,” travel writer John Malathronas says in his article titled, “10 places in Greece that will probably surprise you”, also referring to some of Greece’s must-see natural sites, archaeological treasures and pilgrimage destinations. 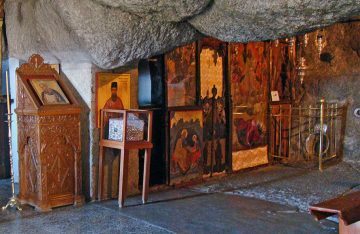 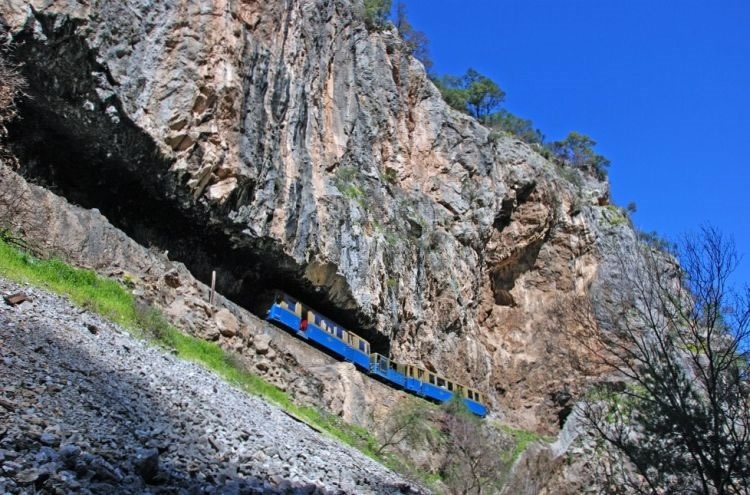 Among them is the Odontotos (“Toothy”) rack railway currently connecting the towns of Diakopto and Kalavryta in the Peloponnese; Amorgos’ landmark Chozoviotissa Monastery, located on a cliff 260m above the sea level; and Patmos’ Cave of the Apocalypse, believed to be the place where St John received his visions recorded in the Book of Revelation. 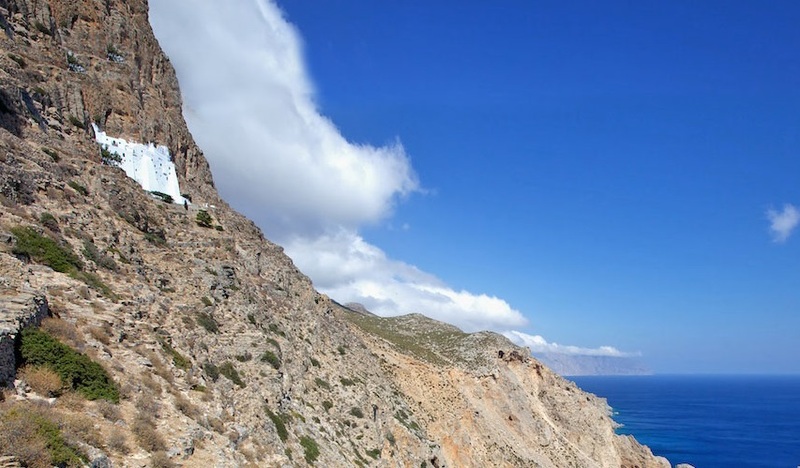 The Telegraph’s list also includes the traditional village of Pyrgos on Tinos with its marble monuments and school of marble sculpture, as well as Naxos’ gigantic marble Kouros, an archaic, stylised male statue found in the area of Apollonas, half-chiselled out of the rock. 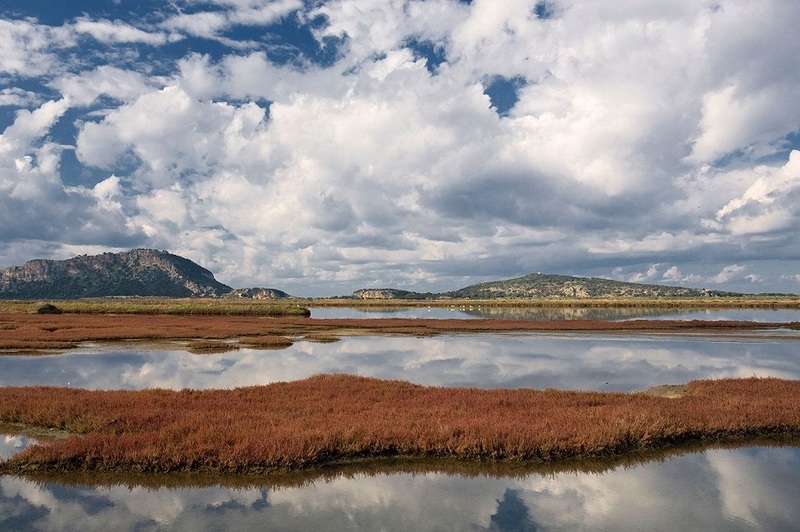 Other suggestions include the mountainous town of Grevena for its 1,300 species of mushrooms growing in the thick oak woods surrounding it; the dilapidated sanatorium on top of Mt Parnitha, north of Athens; the Gialova Lagoon in south-western Peloponnese; The “Lighthouse” museum in Athens, where the visually impaired can feel exact replicas of many famous Greek sculptures; and the Turkish consulate in Thessaloniki which has been turned into a museum dedicated to the life of Kemal Atatürk.